Ministry of Sound continue to educate the masses with a brand new collection of one our most loved music genres. With the sun shining what better album to get your groove on and heat things up for the imminent summer than Funk Soul Classics. A major influence on disco, funk music is a sound familiar to all having also been heavily sampled in dance related genres ever since including hip hop, house and drum & bass not to mention featuring in countless iconic film soundtracks (Pulp Fiction, Jackie Brown, Shaft to name but a few). 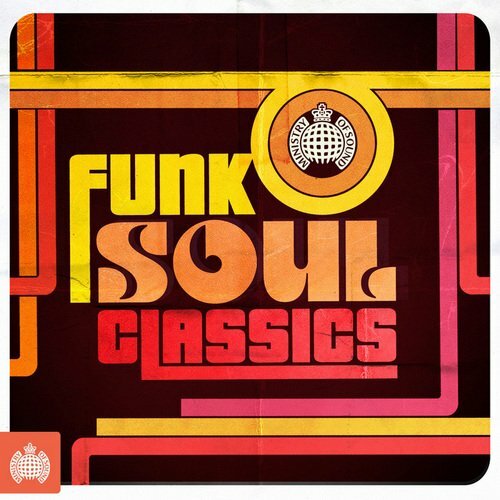 The essential tunes from your favourite funk soul brothers & sisters all feature including the Academy Award winning ‘Theme From Shaft’ by Isaac Hayes, Curtis Mayfield, Bobby Womack, Sly & The Family Stone, Bill Withers, Funkadelic, The Isley Brothers, The Fatback Band, Al Green, Aretha Franklin & Sister Sledge. 3CDs of grooves and cuts that defined an era, from Stateside to Southport, these are the records that provided the soundtrack to a generation.